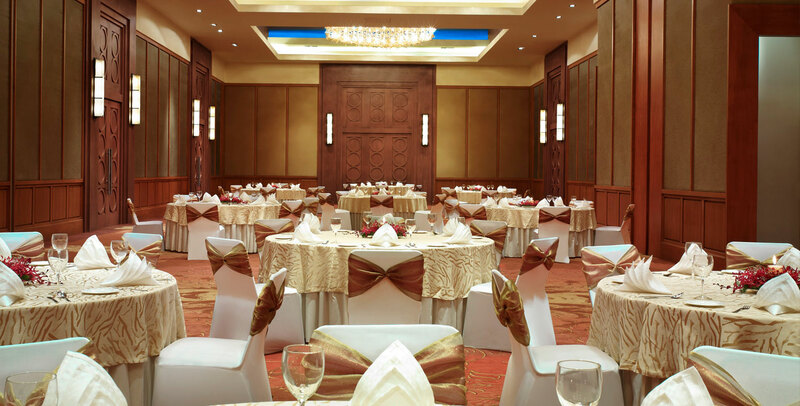 DAVE DUNPHY WHILE AT HFS, INC.
Brief: Design of a new 186 room hotel in Coimbatore for Taj Hotels to truly reflect the area and its nickname, the Manchester of South India. Concept: The Taj Surya Coimbatore presents guests with a warm and contemporary design tour de force from the moment they cross the threshold with its dramatic elliptical lobby whose centerpiece is a large water feature and seating element, above which resides a monumentally scaled chandelier representing rain falling from the sky above. 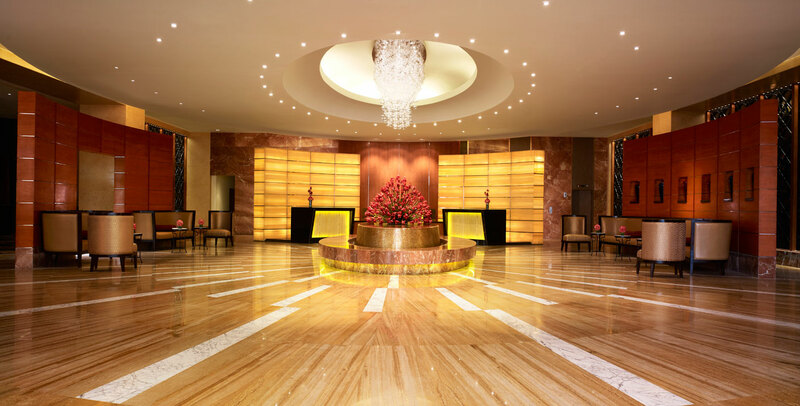 Like ripples in a pond, concentric bands of exotic marbles radiate out from this central feature and include shards of stone that echo the rays of the sun and hearken back to the namesake of the hotel, Surya(sun). Woven upholstery, warm accents and saffron toned window treatments with intricate patterns reflect the roots of Coimbatore as the Manchester of South India and its large and vibrant textile industry while recalling some of the spices used in the flavorful foods of the region .